Next Tuesday (11/7) at 6:00pm, artist and art historian Marlene Aron returns to the Montclair Branch to give a lecture and slide show on Five Fabulous Women Artists of the 1800s. Come learn about the artistry and lives of Mary Cassatt, Berthe Morisot, Marie Bracquemond, Eva Gonzales and Camille Claudel. Lydia Cassatt Reading the Morning Paper: A Novel by Harriet Scott Chessman (FIC CHESSMAN) (not at Montclair) – This story is told by Mary’s sister Lydia as she poses for five of her sister’s most unusual paintings while dying from Bright’s disease. The paintings are reproduced in the book and form the focal point of each chapter. Naked by Betsy Franco (FIC FRANCO) (not at Montclair) – In 2008, Jesse Lucas discovers an eighteen-year-old girl (who turns out to be Camille Claudel) who has emerged from a statue in Stanford’s Rodin Sculpture Garden. 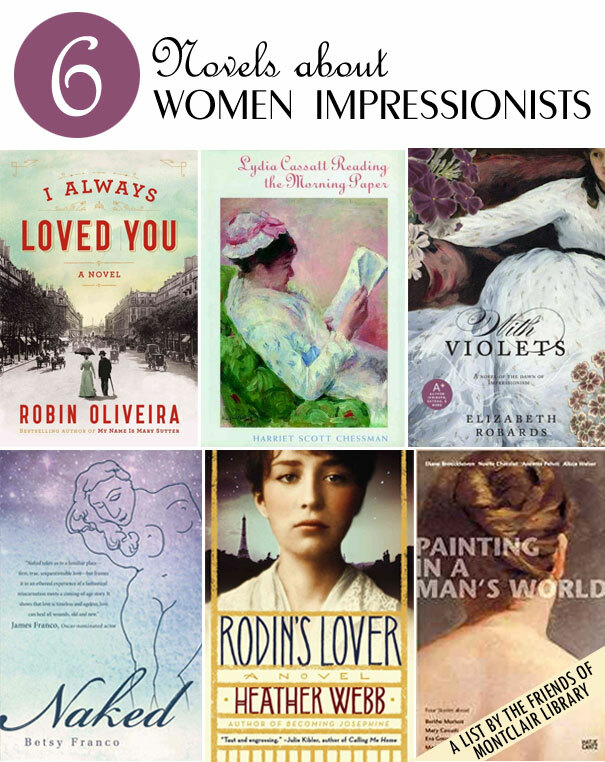 Painting in a Man’s World: Four Stories about Berthe Morisot, Mary Cassatt, Eva Gonzalès, Marie Bracqueond, edited by Ingrid Pfeiffer (not in OPL – available through Link+) – Short stories by four well-known women writers about four women Impressionists. This one’s only available through Link+, but it’s about four of the five artists we’ll be hearing about.